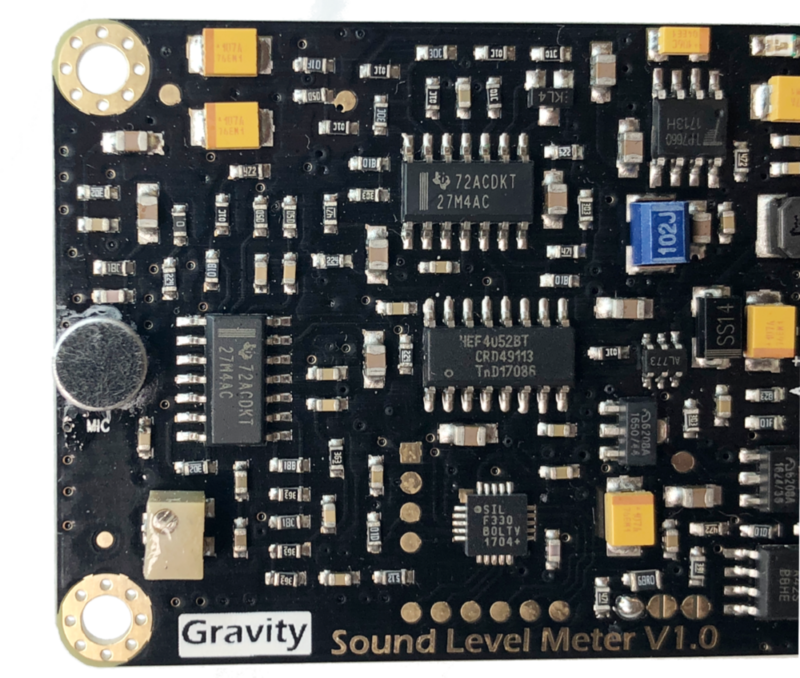 In this tutorial I will be discussing the Gravity: Analog Sound Level Meter from DFRobot. The sound level meter linearly correlates sound pressure level in decibels to analog voltage (0.6V and 2.6V). This linear relation will give us the ability to read the approximate A-weighted sound pressure level using Arduino's AnalogRead() function. Below I will first break down the decibel and show the user how to transform from decibels to pressure in Pascals. When averaging sound pressure levels over time, we first need to convert to Pascals and average the sound pressure, then convert back to decibels for an average loudness. I will be calculating average sound pressure levels for several situations that approximate the sound levels encountered in daily life ranging from the quietness of a library to the dangerous screeches of a subway car. The DFRobot sound level meter (specs. here) as I said before is ready to go nearly out-of-box. This means that you can head to their wiki page (here) and follow their wiring and code outlines to get the device up and running with your Arduino. Their code works perfectly, except when using voltages lower than the traditional 5.0V. Therefore, if you're planning to use the sound level meter (SLM) plugged into stable 5.0 Volts, then you can skip the rest of this Arduino section; but if you're planning to use a 3.7V supply or something lower than 5.0V, then you may want to continue on. Because I found an issue with the analog reference voltage when converting from analog signal to decibels. If you plan to use a supply voltage less than 5.0V, then pay attention to this section. Reading analog values when using a battery can produce unstable results. This is why 'provideyourown.com' wrote a script for Arduino (ATmega328 and 168 only) that reads the supply voltage for reference when reading analog values (link to their article here). The Arduino traditionally uses 5.0V as its reference when calling analogRead(), however, if the supply voltage is less than 5.0V then we need to read the new voltage to get a reference for the 10-bit analog values. In my case, I use a 3.7V LiPo battery, so the values range from 3-4V roughly. This is why we need the voltage reading function - because the values will range always from 0-1023 but the reference changes with battery voltage. So the function provided by 'provideyourown.com' handles this fluctuation. IMPORTANT NOTE: if you want to average sound pressure levels, you MUST convert from decibels, average in the linear domain, and then convert back to decibels. If you average in the decibel domain, your values will be skewed. If it is not clear why, take a look at logarithms and the way they add. If we perform averaging in the logarithmic domain, it is actually mutiplication in the linear (physical pressure) domain - someting we don't want! In everyday life humans encounter a variety of sounds that range from soothing to bothersome to biologically harmful. 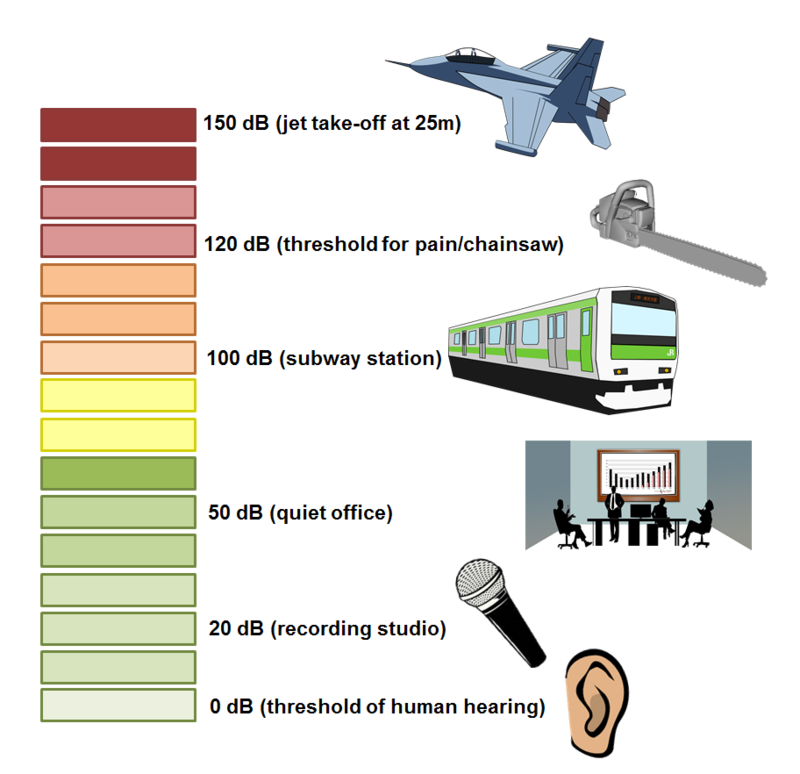 Above, I explained how sound levels are represented using the decibel and several examples of common levels encountered in daily life. Then, I used DFRobot's Sound Level Meter breakout board to instruct the user on how to build their own portable device. Finally, I utilized the meter in several situations of varying loudness to demonstrate the meter's ability to replicate common sound pressure levels. 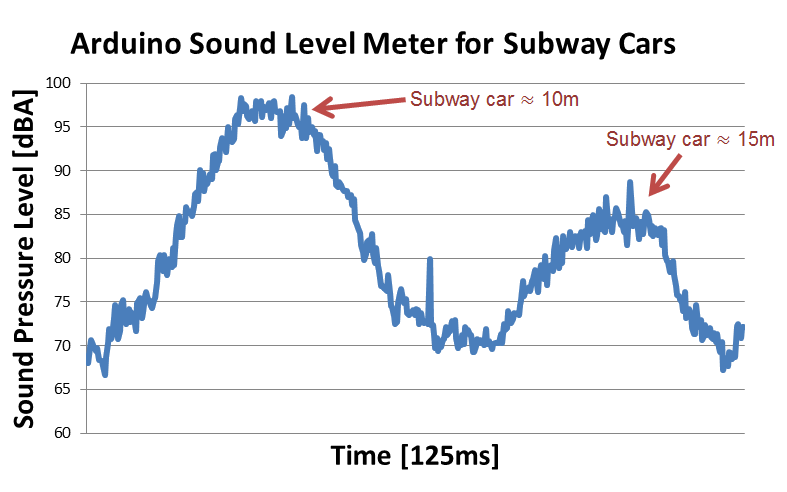 Using Arduino to read DFRobot's sound level meter in decibels. Frequency response: 31Hz - 8.5kHz. Fast response: 125ms.